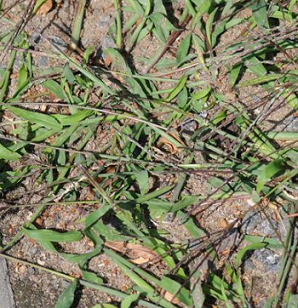 Crab grass (Digitaria sanguinalis) complete detail – updated. 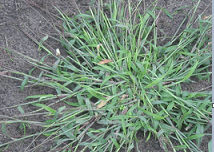 Medicinal Uses of Crab grass (Digitaria sanguinalis). Description of Crab grass (Digitaria sanguinalis). 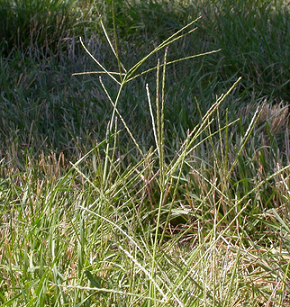 The height of Crab grass is between 1 to 3 feet long. Classification of Crab grass (Digitaria sanguinalis). Crab grass develops several branching culms at the base, the lower branches of the culms tend to sprawl across the ground, while their upper branches are more erect. Leaves are soft and smooth, usually hairy near the base, 4-8 mm wide and with an open hairy sheath around the stem. Leaf blades 4 to15 cm long and 4 to12 mm wide and green to purple, both sides with silky, shiny hairs, often reddish with central strip and pale at the margin. Sheath green to reddish violet with long blister-like hairs, especially at the sheath base. Youngest leaf rolled………..
local name of Digitaria sanguinalis is crab grass. Digitaria sanguinalis is an annual grass. 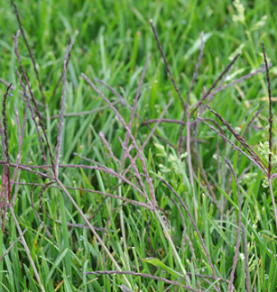 The height of Crab grass is between 1 to 3 feet long. Crab grass develops several branching culms at the base, the lower branches of the culms tend to sprawl across the ground, while their upper branches are more erect. The culms are light green, terete and glabrous, although they are mostly covered by the sheaths. The sheaths are light green, finely ribbed, shiny or dull, and hairy. Leaves are soft and smooth, usually hairy near the base, 4-8 mm wide and with an open hairy sheath around the stem. Leaf blades 4 to15 cm long and 4 to12 mm wide. Leaf blade green to purple, both sides with silky, shiny hairs, often reddish with central strip and pale at the margin. Sheath green to reddish violet with long blister-like hairs, especially at the sheath base. Youngest leaf rolled. The central stalk of each raceme is light green, flattened, and about 1 mm across. There are many pairs of one-flowered spikelets along the length of each raceme; they occur along only one side of the flattened stalk. Each ovoid spikelet is light green to brownish green, flattened, and about 3 mm. long. The lemmas enclose a single developing grain. The blooming period occurs from mid-summer to early fall. Each grain is ovoid and flattened like the lemmas. The root system is fibrous, sometimes the nodes of the lower culms will form new fibrous roots. Found throughout temperate and warm regions of the world. Crab grass is mostly used as fodder. A fiber obtained from the plant is used in making paper. A decoction of the plant is used in the treatment of gonorrhoea. Seeds can be ground up and used as wholegrain flour, fine white flour or semolina. It has excellent keeping qualities.